What is a Traditional Irish Horse? The Traditional Irish Horse (TIH) is the original indigenous Irish Sport Horse breed which was developed here in Ireland 200-300 years ago using the Irish Draught, the Thoroughbred and, to a lesser extent, the Connemara Pony. It was called the Irish Hunter until 1974 when the Irish Sport Horse (ISH) studbook was established. The Irish Sport Horse breed was comprised only of Traditional Irish Horses until 1982 when foreign breeds and crosses were first registered as Irish Sport Horses. 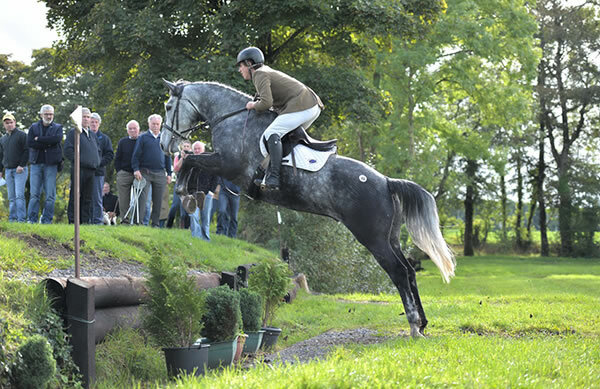 TIH’s are now a subset of the Irish Sport Horse population. They are registered as Irish Sport Horses and designated as Traditional Irish Horses (ISH)(TIH) in their passports and as Traditional Irish Horse Category on IHR Online (formerly Capalloir). A TIH is bred by breeding TIH to TIH or by crossing Thoroughbred, Irish Draught or Connemara with another of these 3 breeds or with TIH. Today we have a base of around 3,000 TIH mares which are often bred to TIH stallions to breed showjumpers, eventers, amateur and leisure horses. As the Thoroughbred, Irish Draught and Connemara are its three component breeds, any cross of these 3 breeds with each other or with TIH is accepted as a TIH.